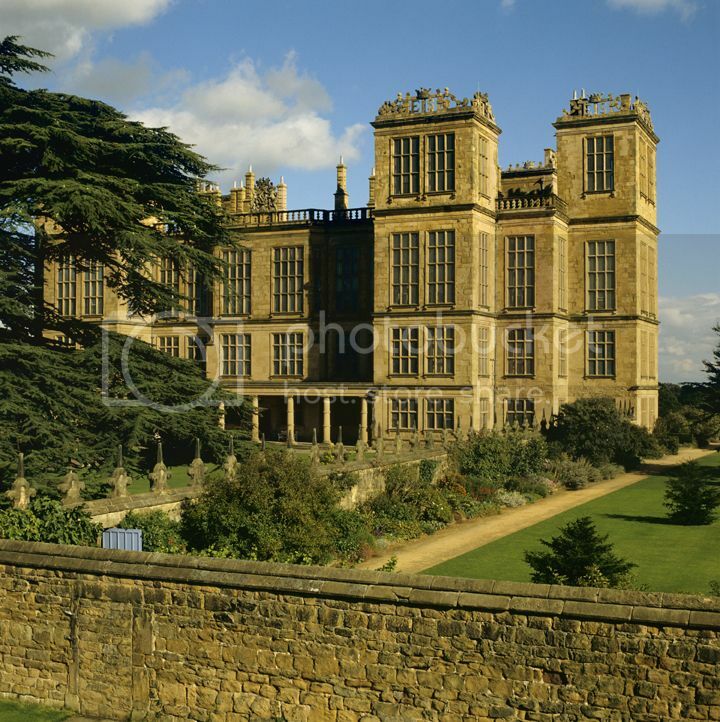 Bess of Hardwick: Empire Builder by Mary S. Lovell is a fascinating portrait of Tudor nobility, nice & fat at 500+ pages so more bang for your Tudor buck. Man, I wish I could play with all the primary documents these authors manage to lay their hands on! Lovell said some of the Shrewsbury account books have somehow ended up in Washington DC in the Folger Shakespeare Library I got to thinking about how much one can reconstruct what's gone on in an historical personage's life by reviewing such things & wondering how future generations of historians are going to find out anything about US with all this online banking & such.....nobody keeps account books or balances their checkbook anymore, if they even use checks when everything can be paid online with a debit card. Start keeping records, peeps! History depends on it. Anyway, I enjoyed this lengthy accounting of Bess's life. The author apparently stumbled upon a treasure trove of 16th century papers as regards Bess's 3rd husband, Sir William St Loe, in her own HOUSE! Lovell's husband's folk are from the same place in England & there was stuff moldering in the attic of the ancestral home & he didn't even know it until his inquistive wife went poking around & found it! That's pretty cool, dontcha think? St Loe was the Captain of Elizabeth's personal guard, so a fairly important tho hitherto obscure dude in Elizabethan history. 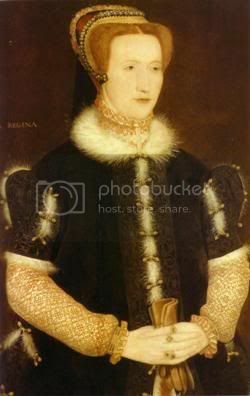 There was a nice section of pictures & I was intrigued as there was one the author insisted was ID'd as Lady Jane Grey, & no, it wasn't the portrait they're now saying is Catherine Parr. Whomever this is, there IS a facial resemblance between the portrait & one of Catherine Grey done after her disastrous "not marriage" to the Earl of Hertford. Hmmm. Speaking of which, apparently Frances Brandon (Mary Tudor's daughter, Jane Grey's mother) was nice to somebody. Shocking, isn't it? LOL Frances has a bad rep. Bess served in Frances's household at Westhorpe as one of her ladies-in-waiting (whilst between husbands #1 & #2), & apparently enjoyed a lifelong friendship with Frances & exchanged gifts regularly & everything. Bess kept a miniature of Jane on her bedside table till she died (Bess not Jane died, as we all know how that went), so they must've been tight. Bess also got in big-time trouble with Elizabeth over the Catherine Grey debacle as well. The author opines that Catherine died so young as a result of anorexia. It was interesting to see how much faith & trust Bess managed to coax out of Tudor-era men, not noted for their generosity to females, & how this started her on her path to fame & fortune. She counted folk like Robert Dudley, the Cecils pere et fils, & William Parr, Marquess of Northampton, & his wife among her best buds. In fact, there's a whole series of letters from when George Talbot, the Earl of Shrewsbury (Bess's 4th DH) was having a nervous breakdown after being stuck with Mary Queen of Scots as his "guest" (he was her jailer) for so many years, where Dudley, Burghley (the elder Cecil), & even Elizabeth herself were getting involved in what should've been private family quarrels....apparently Shrewsbury complained A LOT LOL & the MQOS captivity details were interesting. The whole thing with Elizabeth Cavendish's (Bess's daughter) secret marriage to Darnley's (MQOSs 2nd DH) brother Charles, Earl of Lennox, was an alleged connivance between Bess & Margaret Douglas (Margaret Tudor's daughter, mother of Darnley & Lennox), & Elizabeth was not amused, as you wouldn't be to have heirs presumptive running amuck like that. The child of that short union, whose name drives me nuts as for years she was Arabella but now she seems to be revised to Arbella, was sort of in Mary I's shoes, as Elizabeth refused to allow her to marry & then so did James I later, as she was a threat to their positions. See what happens when you allow royals to marry commoners? Nothing but trouble LOL The author thinks Arbella Stuart was a fruitcake along the lines of Henry VI or George III, as she suddenly in her 20s became totally irrational in behavior & it ran in cycles. She was never catatonic like they were, but the author thinks she may have had a form of porphyria nonetheless. Good book, go read it. Lovell's prose flows very well & she creates a fascinating portrait of a fascinating woman.